Mumbai : If you are think that the captain of Indian Cricket team MS Dhoni, is planning for his next marriage after marry with Sakshi, then you are defiantly wrong. Because the Indian Cricket team captain MS Dhoni and his wife Sakshi are very happy with their wedding life. We are talking here about the biopic of MS Dhoni. Well, the makers of the film have been approached Parineeti Chopra to play a role of Mahendra Singh Dhoni's wife Sakshi Singh Dhoni in the biopic. Sushant Singh Rajput is playing the role of Indian cricketer M.S Dhoni. 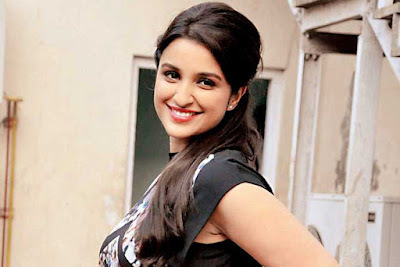 According the reports, "Makers approached Parineeti Chopra because her chemistry with Sushant Singh Rajput in 'Shuddh Desi Romance' was appreciated." MS Dhoni: The Untold Story will reveal the professional and personal life of cricketer Mahendra Singh Dhoni. The film will also show the relationship with Sakshi before the marriage. The biopic is on the floor and story title is 'M S Dhoni: The untold story' directed by Neeraj Pandey and produced by Rhiti Sports Management, Inspired Entertainment and Adarsh Telemedia.